A little over two months after online classifieds listing site Quikr acquired real estate portal CommonFloor, it has started sacking the employees of the acquired firm. While the exact number of job losses are not confirmed, a couple of former CommonFloor employees have indicated that anywhere between 150 and 200 employees may have been asked to leave from last Friday. 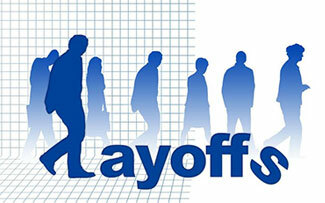 A few media reports too have quoted the number of job cuts as at least 150. A Quikr spokesperson did not confirm the number. “As part of an integration exercise, we have been analysing our assets and believe it is best to consolidate our physical as well as people assets based on our business needs,” said a statement from the company. According to two former employees— of whom one lost job last week and the other was out of the firm since last month—Quikr has initiated job cuts against the assurances it provided at the time of acquisition. “Sumit Jain (CommonFloor co-founder and CEO) had sent us a mail that assured continued employment a week after the merger. He had even said in the mail that we all would move to Quikr campus,” said one of the former CommonFloor employees. “It was followed by a town hall in which Pranay (Quikr co-founder and CEO Pranay Chulet) and his team also attended. They said there would be plenty of jobs in the combined entity,” the person added. The job cut drive has started as the rental agreement for the CommonFloor office is about to expire on March 31, said the former employee. VCCircle could not independently verify this. To a question on the job situation post-merger when the deal was announced in the first week of January, Jain said there would be no lay-offs. “We would still need more people than both the teams put together,” he had said then. Jain did not return a call seeking his response. “Of the 650 people in CommonFloor office in Bangalore, only 250 were moved to Quikr’s office. The remaining 400 at CommonFloor were not communicated the company’s plans for them. Of them, around 150 received a mail asking to look for opportunities outside the company on Friday evening,” said the second person. When checked with Quikr spokesperson, she refused to confirm the numbers. CommonFloor had 1,000 employees across India and QuikrHomes 350 at the time of the acquisition. VCCircle has first reported about the merger between Quikr and CommonFloor in May. CommonFloor co-founders led by Jain are now involved in the integration of the company with QuikrHomes, the real estate vertical of Quikr. However, it is not clear how long they would stay with the combined entity. Tiger Global, the common investor in both Quikr and CommonFloor, and Accel Partners, an early investor in CommonFloor, had initiated the merger talks between the companies in which CommonFloor was estimated to have been valued around $112 million. Both companies have not revealed the exact valuation. CommonFloor and QuikrHomes compete with MagicBricks, IndiaProperty, IndiaHomes, Housing and PropTiger. News Corp, which owns 30 per cent in PropTiger, acquired Mosaic Media Ventures Pvt Ltd, the parent of this website in March 2015.